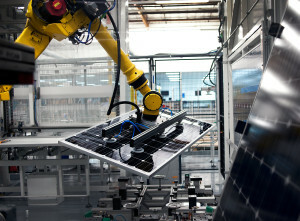 Manufacturing solar panels may seem like alien technology, but it happens every day. 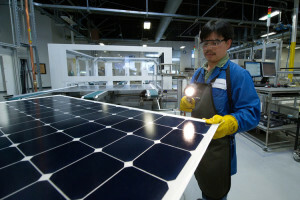 Most people have a basic idea of how solar panels work. Energy from the sun is collected and then converted for use. But how many people can tell you about how they are actually made? The production process is incredibly interesting and easier to understand than you might imagine. Here’s how the industry makes those them before they are installed on your roof. Step 1 is actually growing a silicon crystal. Polysilicon rocks are carefully stacked in a quartz crucible as a silicon disk impregnated with a tiny amount of boron is added to ensure crystal will bear a positive potential electrical orientation. A crystal-growing furnace is then heated up to temperatures around 2,500 degrees Fahrenheit as the contents inside the crucible melts into a shimmering slurry. A silicon seed crystal is then slowly lowered into the crucible as the silicon melt freezes onto the it to match its structure. In about 2 and a half days the crystal has had enough time to grow and cool down, ready for the next step in creating solar panels. 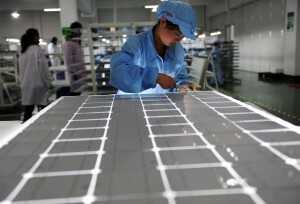 Once cooled, the crystal is cut into small crystalline silicon disks less than a centimeter thick. These super thin wafer shaped discs are then polished and treated to repair any damage that is a result of the cutting process. These are also glossed over to make sure that all damage is repaired and that the final product is as perfect as possible. Dopants, or materials that are used to alter the electrical charge in a semiconductor, are applied evenly to the surface of the cell that was just created. 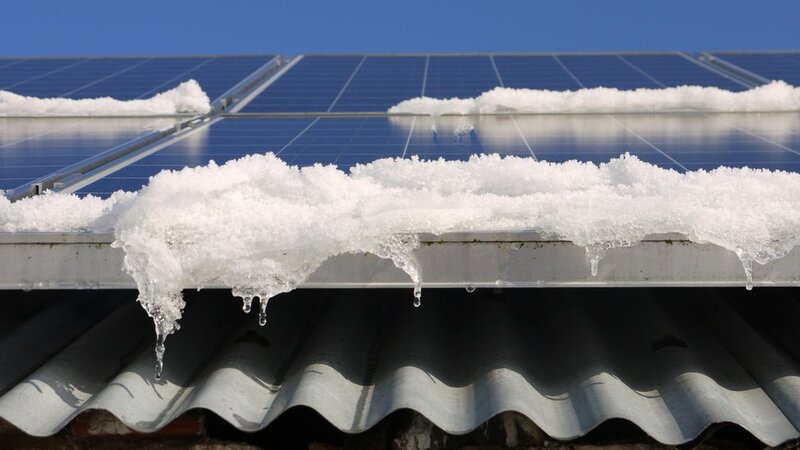 This will help to ensure that your solar panels are going to work properly when it is completely finished. Small conductors are then lined up in a grid or matrix across the surface of the solar panel on a thin sheet that faces the ground. A thin layer of cover glass is then bonded to the solar panel in order to help protect the crystalline silicon, dopants, and conductors from wear and tear. This protective glass is a very necessary step as it will help extend the life of your solar panel and will help make sure that it works well. 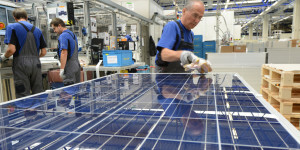 This sheet will also ensure that the solar panel is not going to be superficially damaged. Attachment of the panel to a substrate is now necessary to make proper mounting possible. It is important that the cement used to bond these two together is thermally conducive so that the solar panel does not become overheated. Any energy that is not used by the panel will then disperse so that the panel will not overheat. Solar panels do not perform as well under extremely hot conditions. as with any product, the quality control process is a very important step. 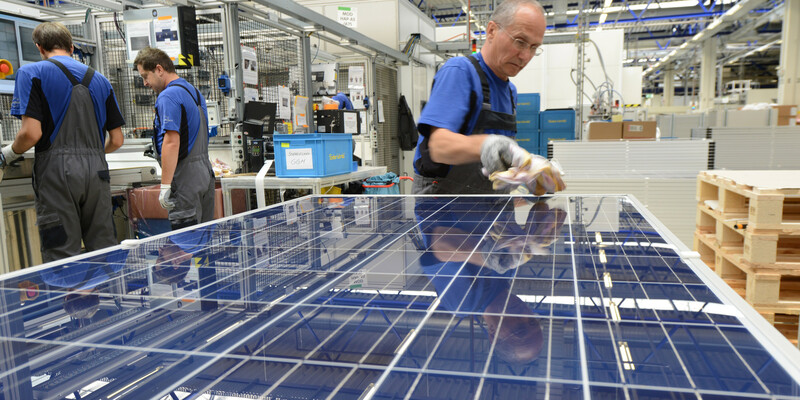 After the panels are completed, random panels are chosen to be tested for several different factors. Strength, conductivity, and overall function are all going to be checked. The chosen panel is put through a series of trials to ensure panels in the production group work as they should and are durable enough to be sold to the public. Solar panels are highly efficient and are being used more widely than ever before. 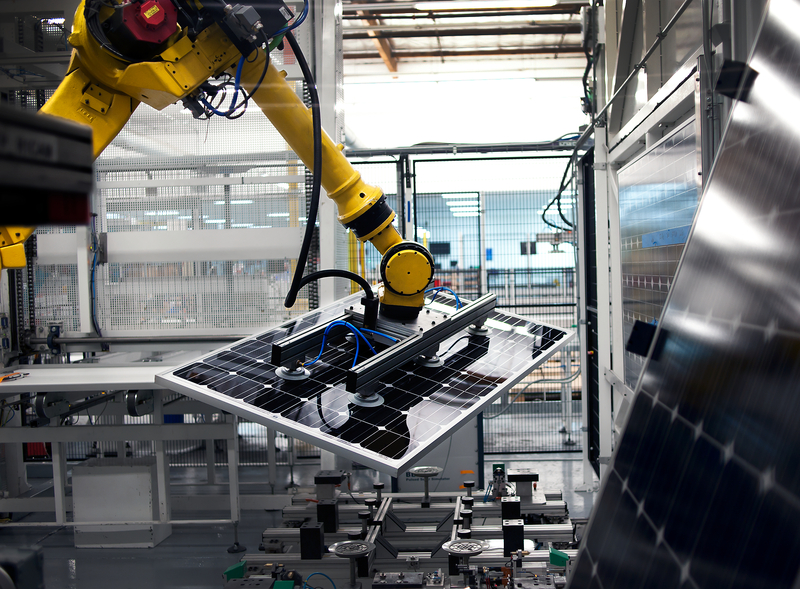 As solar panel technology continually changes and evolves, there are sure to be new processes when it comes to making solar panels and solar panel technology.